Age spots, wrinkles, large pores, and acne scarring are all good reasons to seek out a skin treatment that minimizes and improves the tone, texture, and overall appearance of your facial skin. 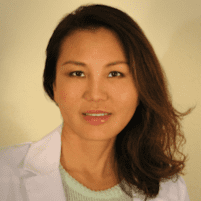 At Dr. Chow's Rejuvenation Practice in Lee’s Summit, Missouri, Amy Chow, MD, an aesthetic medicine and anti-aging specialist, provides men and women with the regenerative benefits of microneedling. Microneedling uses tiny needles to prick your skin to generate new collagen and skin tissue for a smoother, firmer appearance. To learn more, contact the office or request an appointment online today. Microneedling is a treatment in which a member of Dr. Chow’s team uses a small handheld device that gently presses ultra-thin needles into your face and neck to improve your skin’s overall appearance. During a microneedling session, your provider controls the amount and depth of the needle punctures. This process triggers your body’s natural ability to repair itself, and produce new collagen for smoother, firmer, newer skin tissue. Typically used on facial skin to improve your skin’s appearance, microneedling can be used on other areas as well. Microneedling is minimally invasive and there’s no downtime, so you can get back to your daily activities without too much interruption. It’s safe for those who are in good overall health, and who are not actively using certain acne medications. It’s also a safe option for all skin types and can be an ideal rejuvenation treatment for darker skin tones. How many microneedling sessions will I need? Most people need 3-6 sessions, spaced about four weeks apart, to achieve optimal results. This gives your skin time to heal and boosts collagen and elastin production. If you have age spots, acne scars, deep pits, or more severe wrinkles, your specialist may recommend up to 10 treatments for maximum benefit and noticeable improvement. The team tailors the number of your microneedling sessions based on your skin condition and desired outcome. You’ll see results following a microneedling treatment, and increased improvement over the weeks following, as your skin continues to repair itself. To find out if you’re a good candidate for microneedling, call the office or schedule a consultation using the online booking system.